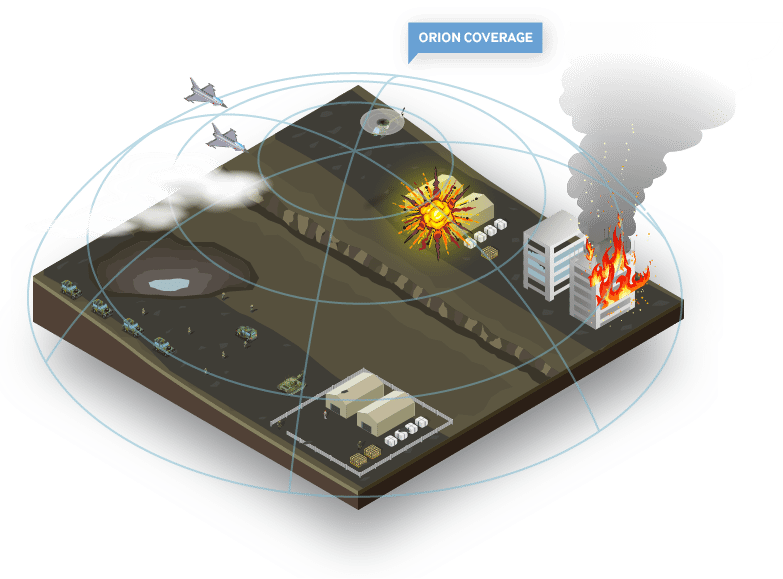 A combination of eNcell, GPS and RFID technology for high accuracy asset tracking and monitoring to protect Military assets such as Electronics, Information Technology, Weapons, Safety Equipment and Personnel during manoeuvres, missions and day to day operations. What is the Military Grade B360 Asset Tracking Device? NFC Group’s B360 Asset Tracking Device is specifically designed for Military use based on the unique requirements of the Army, Navy and Air Force. Logistics are of paramount importance in the Military and yet many units currently employ manual asset management processes. These are time-consuming, expensive, inefficient and run a high risk of human error. NFC Group created the B360 to eliminate the risks of human error, reduce costs and greatly increase asset tracking and monitoring accuracy. Tags that enable flexibility and scalability for the different requirements of each project. Time-Domain Reflectometer (TDR) built into the board to characterise and locate faults and read the PIR sensors to protect against theft, intrusion and damage. The scope of the B360 is far greater than other Military asset tracking devices on the market and it has a wide range of applications in Military operations. The B360 enables the Military to reliably track remote assets and personnel; significantly improve supply chain visibility; identify and rectify supply chain weak spots to allow you to reduce the risk of domestic and international cargo theft and damage; track assets in military housing and barracks; manage fuel levels and generators; predict equipment maintenance schedules and track and communicate with key personnel in dangerous and remote locations. The B360 enables precision asset tracking, monitoring and recovery; reduces asset management costs by up to 75% more than other comparable devices; saves time; and increases Military performance and efficiency. The B360 also integrates with corporate asset tracking technologies when required. It’s essential that the Military has accurate information about the performance, fuel levels and temperature of the vast electricity generators that underpin so many operations. We install the B360 and Orion tags in each generator on site enabling the feedback of real-time data, so individual units and HQ always know the exact fuel levels and are aware of any refuelling or maintenance requirements. The online management server provides a centralised point from which thousands of generators can be monitored and managed. During refuelling you can monitor the performance and efficiency of your personnel and identify where processes can be improved for maximum speed and cost-effectiveness. Active alarms notify staff on site and in the central management area in the event of intrusion, damage, shock or tampering. The Military transports a huge variety of vehicles, equipment and personnel over thousands of miles around the globe, often in remote locations between Military bases and theatres of operation. Each unit is responsible and accountable to the government for its high value assets, so it’s important that each one can be identified, located, tracked, monitored, protected and in the event of theft, loss or damage, recovered quickly. The B360 system utilises 4G sensors to pick up essential information relating to location, temperature, impact, tilt, vibrations, dropping and damage and communicates it, in real time, to the central management portal. The B360 can be also interfaced with satellite communication to monitor high value assets being transported by sea. Both containers and their contents can be separately tracked and monitored for total visibility and certainty. Issues in the supply chain can be easily identified and fixed. NFC Group’s world-wide tracking of Military assets is divided into three levels, satellite, GSM and Orion Data Network. 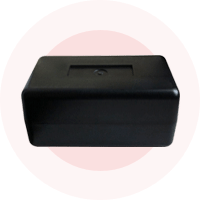 Three independent boxes prevent a single point of failure from bringing the tracking system down. The data is secured and delivered over a secure API into your Military units’ existing software systems. You can customise your real-time data reports to suit your purposes and also view all your assets at a glance on an asset location map, available on any browser with a secure link. In this way, the B360 provides a daily global audit of all your equipment and personnel and can help prevent hijacking, theft, fraud and accidental damage and loss across the supply chain and during Military operations. High yield eNCell positioning – 3 times more accurate than standard cell id. GPS Supercomputer Based Positioning System to determine correct location even in remote locations and difficult conditions, such as underground. High performance data transmission with fixed roaming costs for global SIMs and Satellite communication over the Globalstar Simplex Data Network where GSM is unavailable. RFID Beacon Technology – enables excellent reception even in remote locations and defeats jamming attempts using variable frequencies and power outputs. The dedicated network APN offers up to 100MB of bandwidth to provide global coverage and unrivalled speed and security.